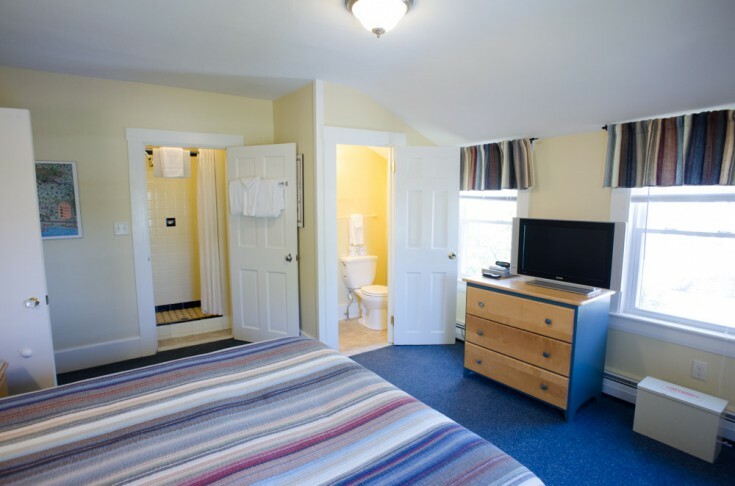 PREV	Bullfrog - Suite 302	NEXT! 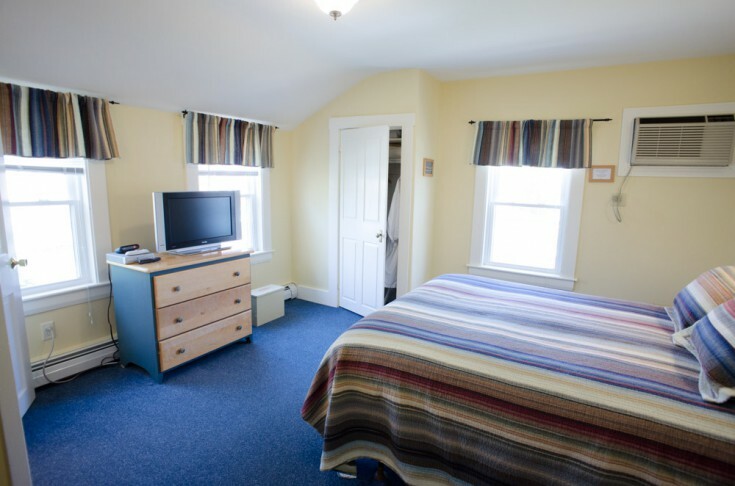 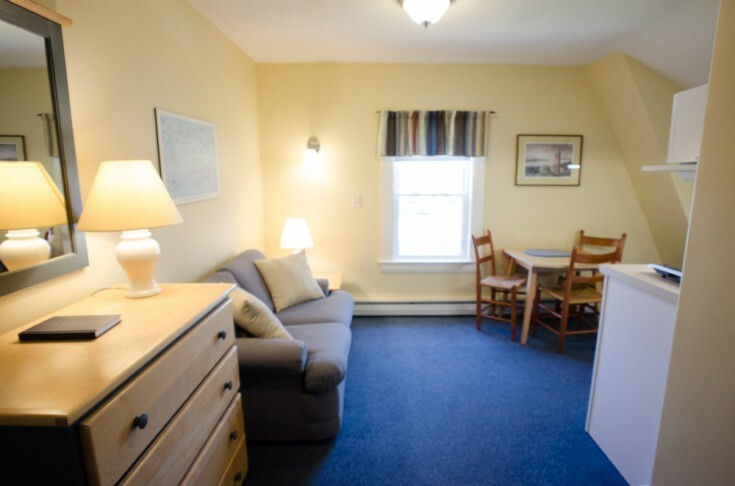 Room 302 is a two-room unit located on the second floor of the Bullfrog Cottage. 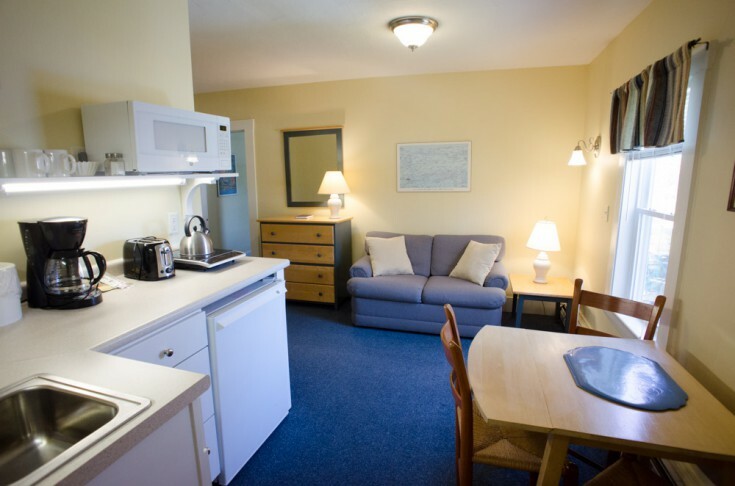 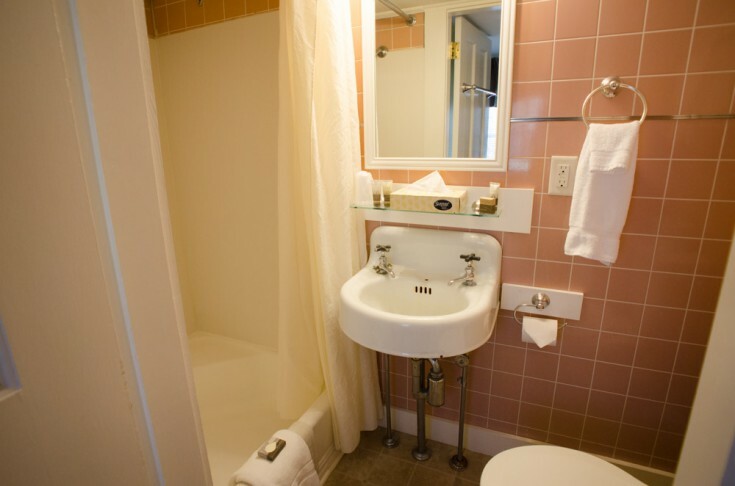 This room provides a small kitchenette with microwave and two private baths with showers in each. 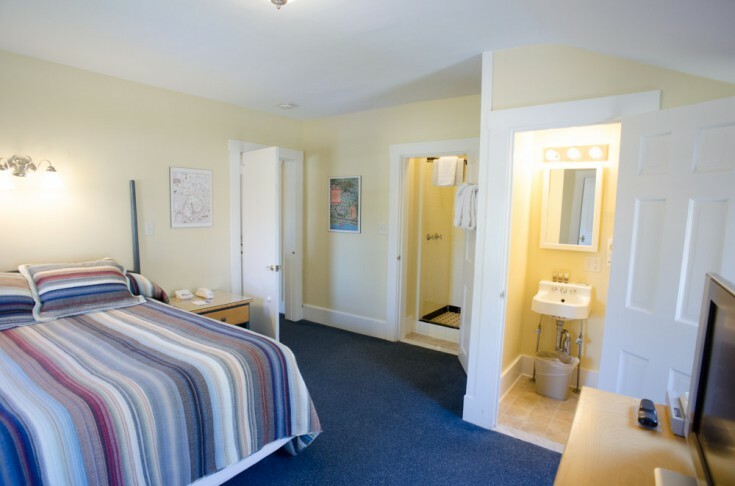 It can accommodate up to three guests with its queen bed in its own room. 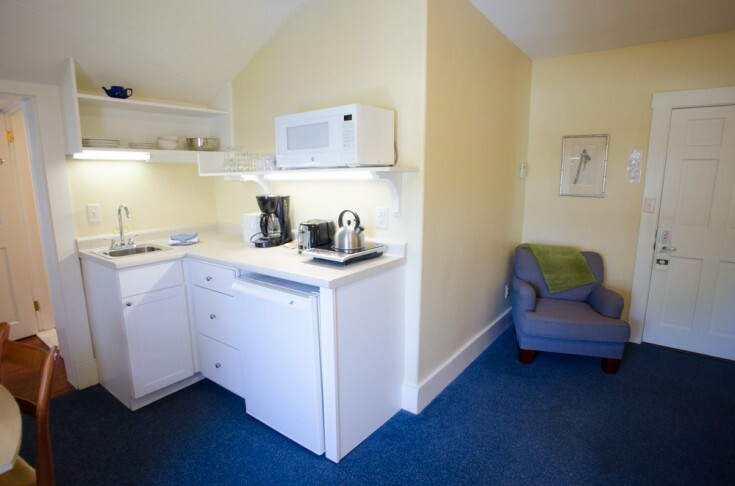 The pull out twin sofa bed is in the main room where the kitchenette is located.